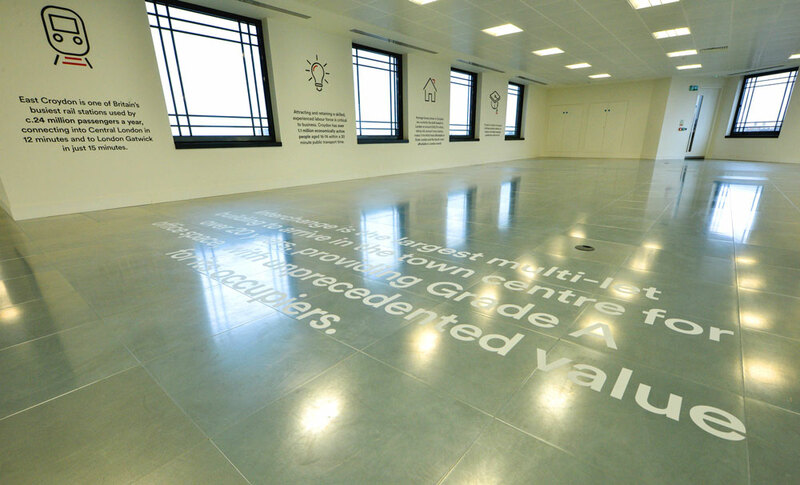 The team at Cormack Advertising came to us with an on floor marketing project. 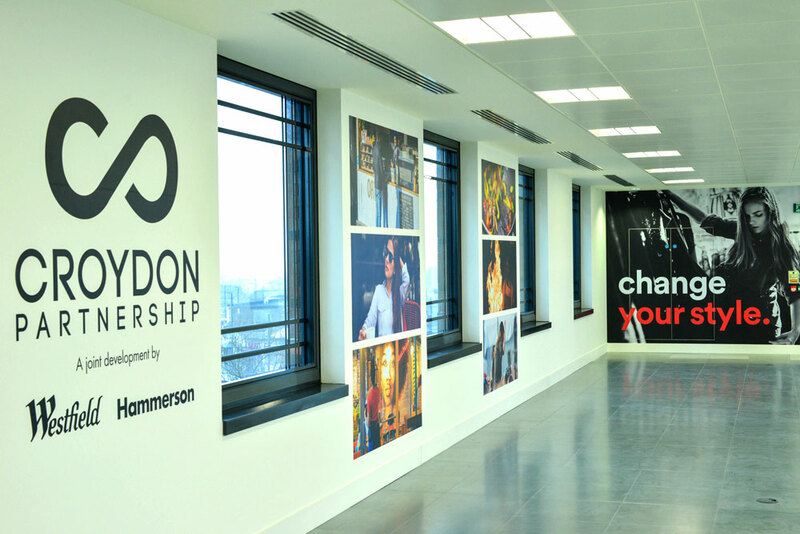 The third floor of the Interchange building in Croydon needed branding. Chiefly, our client needed the end-to-end service that only Octink provide. 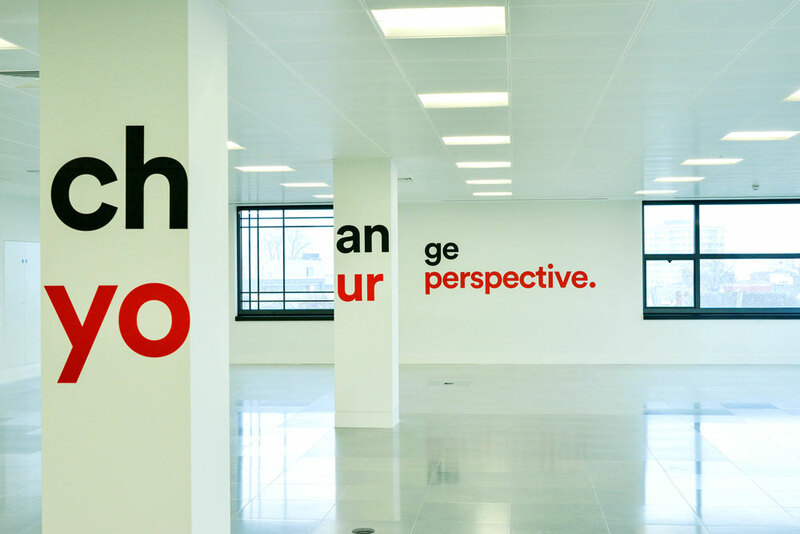 In detail, their concept for the branding was 'change your perspective' - which linked in nicely with the name of the building. 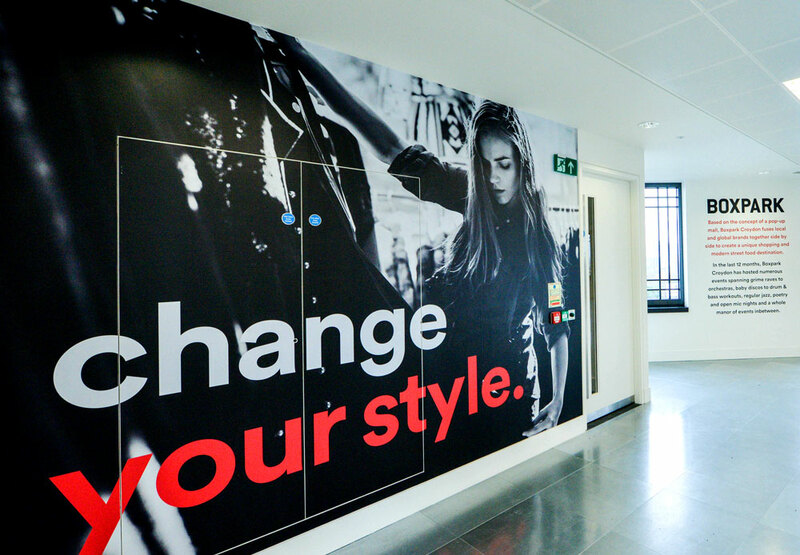 Having already designed the graphics, the agency called upon us to come up with a plan that they could apply their on-floor marketing to. 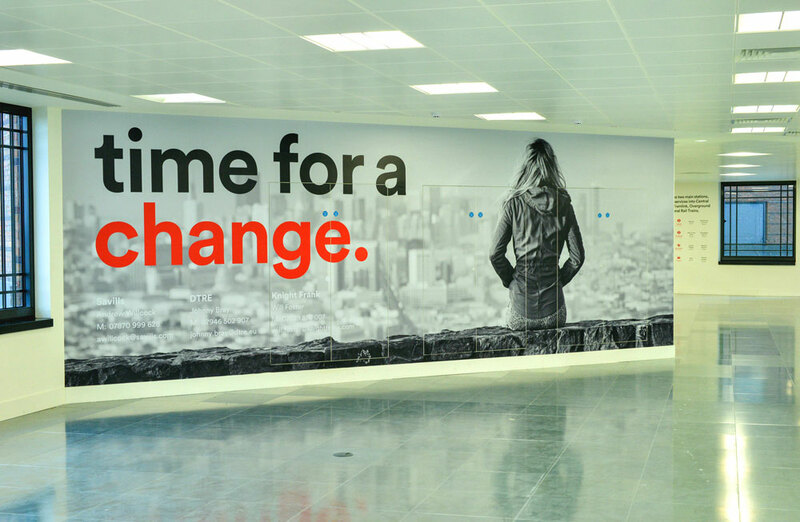 Firstly, our expert team completed a full survey of Interchange, identifying key areas to be optimised with interior branding and graphics. Then, we produced all the printed elements in house using the latest in UV printing technology and finishing expertise. Our installers then applied these onto the selected areas for an amazing finish. In addition, we also took an inventory of the existing interior and exterior wayfinding signage. We then replaced this with new optimised signage containing the new branding. Do you have an on floor marketing or signage project you need help with? If so, don't hesitate to Get in touch and talk to the experts at Octink.